As the Thanksgiving Holiday makes it presence known, most shoppers and small business owners have only one special shopping day on their mind: “Black Friday.” The deals, discounts, and incentives are a high shopping point before December begins. However, there is another celebratory shopping day small business owners should always mark on their calendars, Small Business Saturday. November 24, 2018, is Small Business Saturday, a day meant to recognize and support small businesses as well as what they bring to the communities they operate in. The event is sponsored by American Express and is now in its ninth year. Last year, 108 million shoppers spent $12.9 billion, and 43 percent of American adults either shopped or dined at small businesses on the day. While this is a dip from the previous year’s $15 billion in revenue, small businesses still have a lot to gain by participating in the day. So, here are five ways to take advantage of Small Business Saturday, and build lasting bonds with new customers. One of the significant advantages small business owners have is that Small Business Saturday follows Black Friday and is a part of Cyber Week. Last year, 35 percent of customers shopped online for the Saturday event. So, there is a large audience for online sales. While most shoppers will enter brick and mortar stores, more and more consumers are taking their selections online. 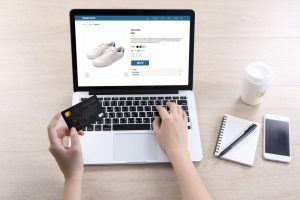 Small businesses can take advantage of this by ensuring their eCommerce stock is up-to-date, and that they are promoting it just as much as they are creating awareness around their brick and mortar location. If this is your first time participating in Small Business Saturday, you never know the channel a majority of your sales are going to come from. Therefore, make a point to make eCommerce sales a priority. While 70 percent of consumers are aware of this event, only 43 percent are taking advantage of it. These individuals who do not participate may not truly understand the meaning of Small Business Saturday, and how it could positively affect their communities. So, create social media postings and ads that mention your company in connection with Small Business Saturday. Discuss the benefits of keeping revenue within the town, and include a call-to-action for how and when they can participate. This step also works for email newsletters and website banners. Can you offer free or discounted shipping on a specific number of items? Does your store gift wrap? Will you deliver items within a certain radius? See how you can outplay the competition by offering incentives they cannot compete with. Because you have a smaller team, you can act more flexibly and nimbly. Along with incentives, there is one thing larger companies indeed cannot boast: their local leanings. Your company is a part of the economic and cultural fabric of the community. Capitalize on this and remind customers of how they can receive a personalized and community-driven experience at your small business. Small Business Saturday already has a community vibe to it. Push this even further by partnering with a local nonprofit organization. 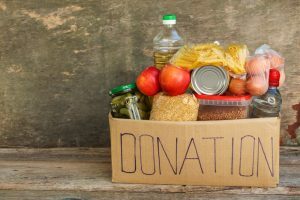 This act could be in the form of donating a percentage of each sale, having employees participate in a community service event, or inviting nonprofits to share their materials with your customers. Make customers feel that by supporting you, they are powerfully supporting their community. Much like the eCommerce entry, begin promoting this as soon as possible. You can even ask the nonprofit to discuss your partnership on their website and social media accounts. Since this event is taking place on a Saturday, it is likely that other community-based events are taking place. Take advantage of the weekend foot traffic and stay open a bit longer. Instead of closing at your usual time, remain open for three or four more hours. Saturdays are a day for either enjoying events or running errands. Many customers may not be available to shop until much later in the day. So, see if you can keep the doors open until around 8 or 9 p.m. If you plan to change your hours, make sure you have communicated the change on your website, social media, and on your storefront. 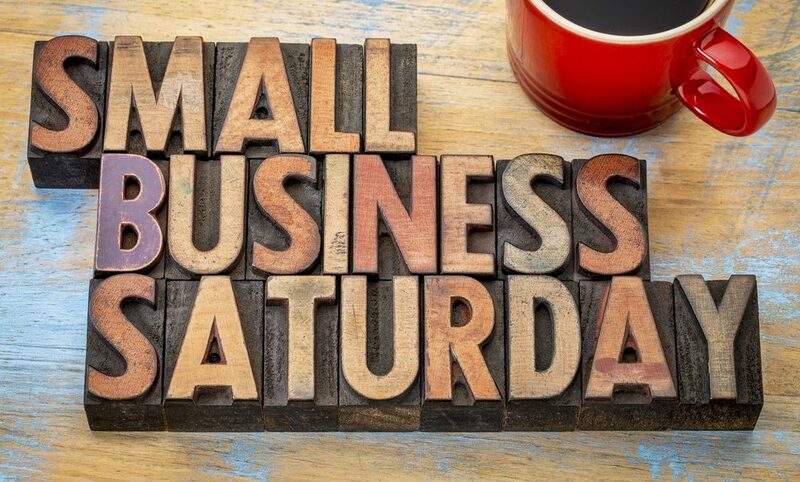 Small Business Saturday is an excellent way for smaller companies to spread the word about what they do, and how they positively impact the community. As stated above, this event brings in billions of dollars for small businesses in one day. This event is something every small business should plan to participate in. You never know where your next significant partnership, lead, or long-term customer can come from. So, use Small Business Saturday to extend your reach and set yourself up for increased sales and engagement as you approach the end of the year.